The Sherp is a new all terrain vehicle from Russia that can go over any terrain and is pretty much unstoppable. 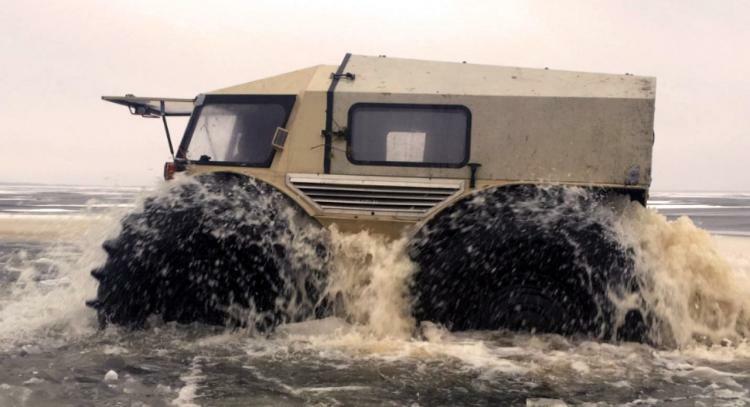 Due to the enormous wheels, not only can the Sherp practically climb a mountain, but it can also go through water, mud, and pretty much everything else. The lake has some ice? 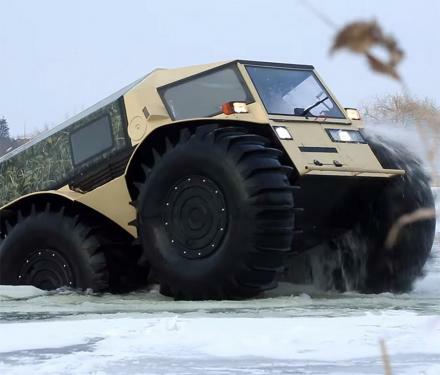 No problem, if the Sherp were to break through, the ice doesn't stand a chance as the giant wheels pretty much act as a blender. 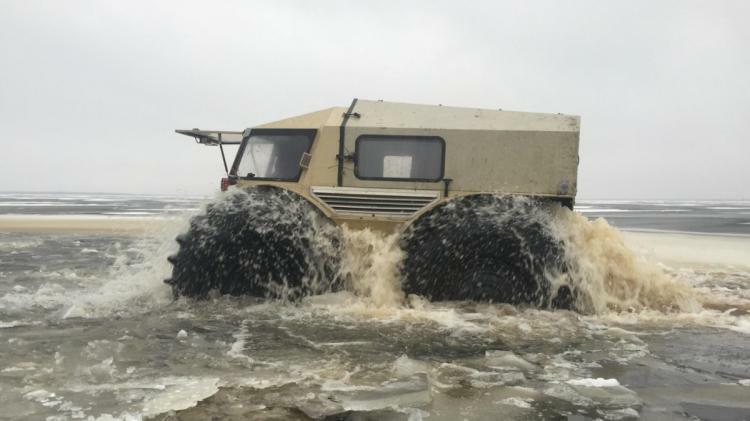 With the vehicle's massive wheels the ice breaks up with no problem and getting out is as simple slipping out of the bathtub. 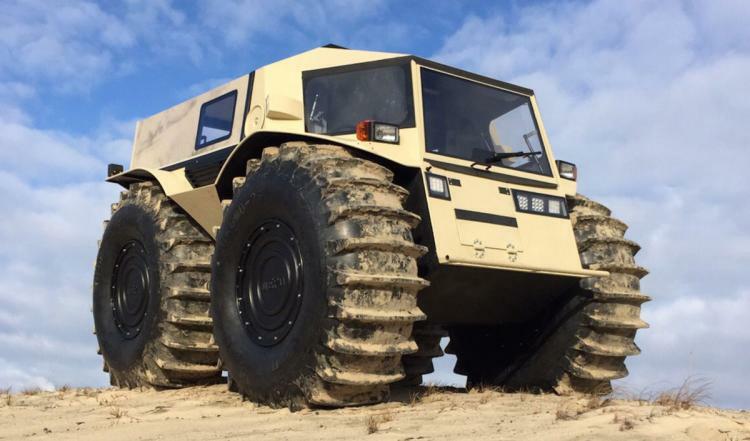 The Sherp tops out at 28 MPH and costs an expected bundle of $65,000, with an upgraded version with a couple extra features going for $70,000. 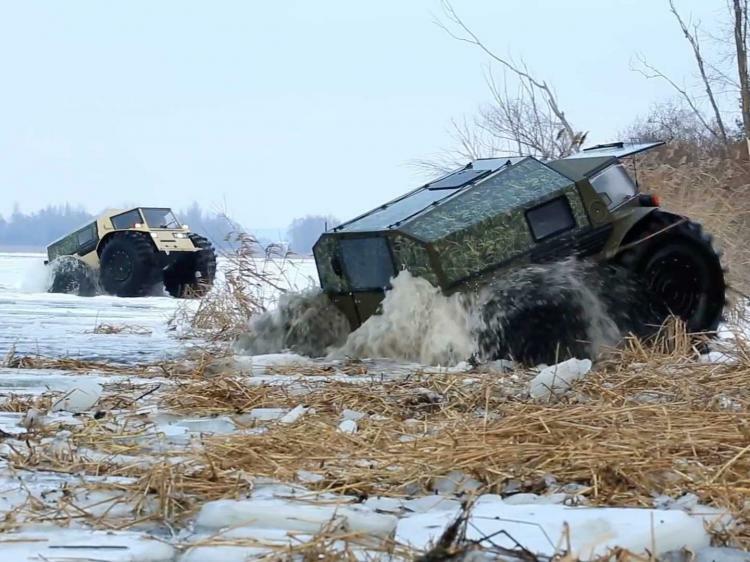 The Russian Sherp all-terrain vehicle comes with a soft tent-like top, has an automatic heating interior system, uses analog dashboard devices and indicators, has halogen headlights, has a 15.3 gallon gas tank, has seat-belts, two batteries, and a hand brake. 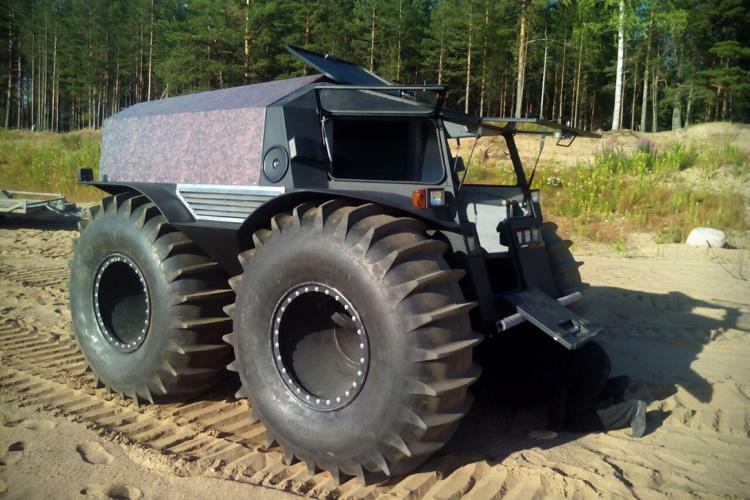 The Sherp measures 11.1 feet long x 8.2 feet wide x 7.5 feet tall. 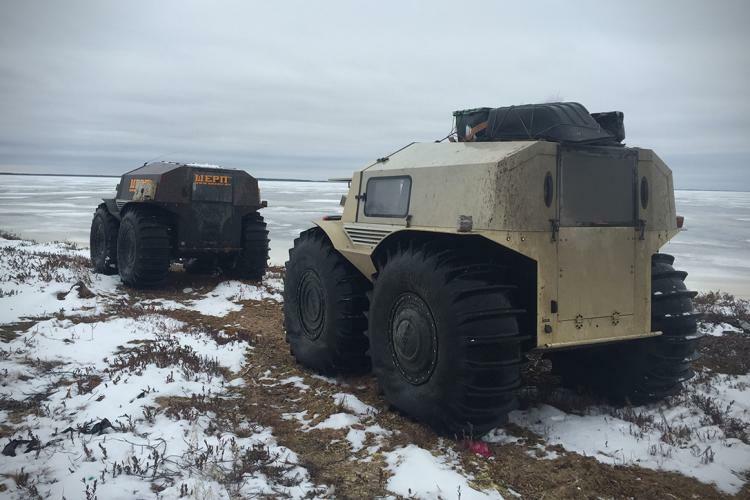 Each massive tire on the ATV measures 5.2 feet in diameter. 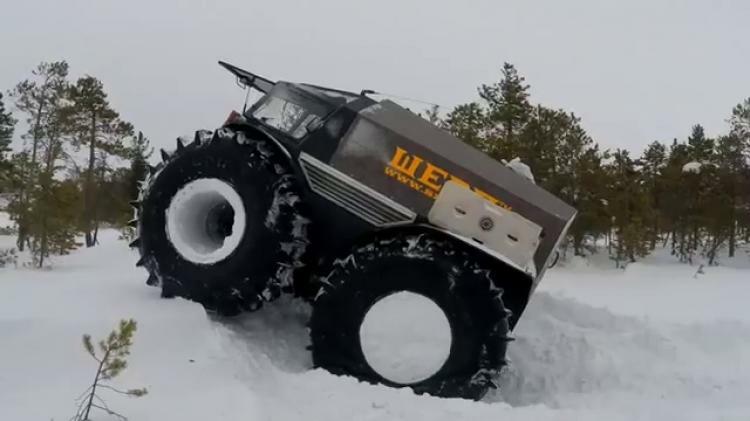 Check out the Sherp Russian unstoppable ATV in action via the video below.